If you have children that LOVE to play make believe, they will love this awesome product I was able to review with my kids. Twinkle Play Tents are fun for children of all ages, and will bring magic and make believe to play time! 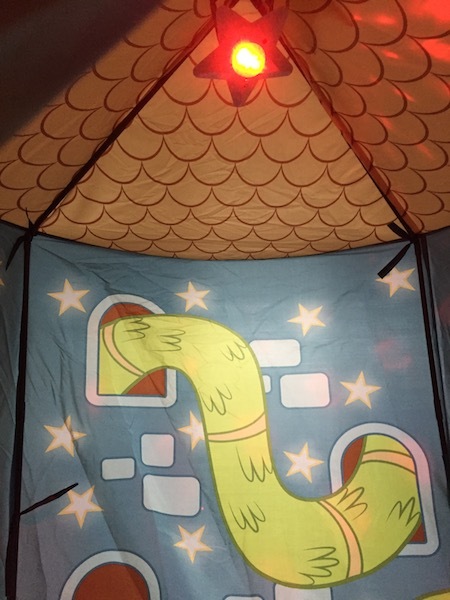 Enter the magical world of Twinkle Play Tents, the light up play tent that interacts with you! From Jay@Play, the creators of the popular two-in-one FlipaZooTM, comes Twinkle Tents, magical play tents that light up and shine bright while you play your favorite music out loud! Camp inside with your Twinkle Play Tent and watch the starry lights move and change color to the sound of your voice. Kids can go on an all-day adventure in the Dragon Lair or Princess Palace and get lost in a whole new world. Each Twinkle Play Tent comes with a travel bag, so you can take it everywhere you go! 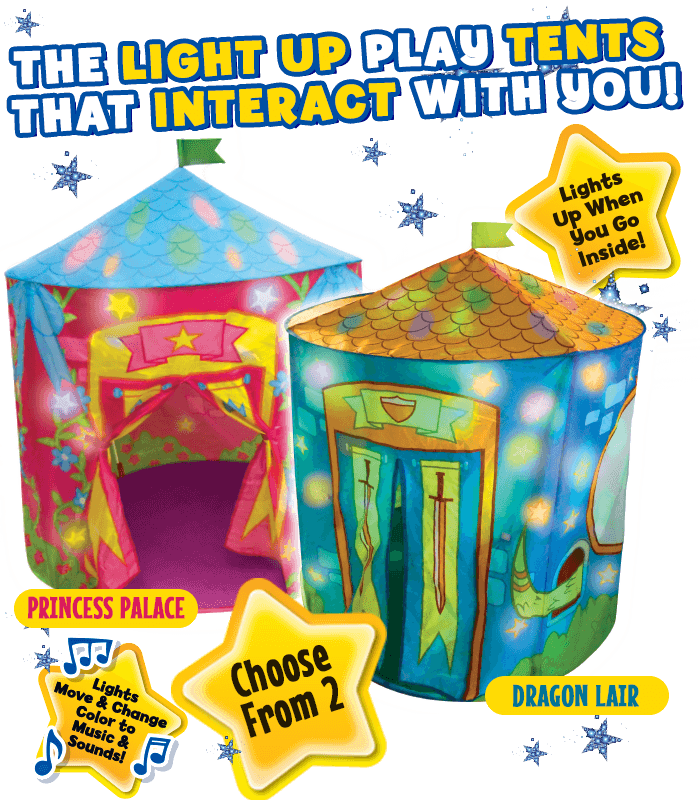 Twinkle Play Tents comes in two different styles, Dragon Lair or Princess Palace. I have a 6 year old boy and 9 year old girl, so I decided to review the Dragon Lair. When you receive the play tent, you must assemble. It is pretty easy to do yourself, but for me it was easier when my husband was able to help. The magic light does require 3 AAA batteries which are not included. The lights are LED, which is great because the batteries will last awhile in the magic light. There is an auto shut off, so when your child is not playing in the tent, the lights will shut off when it does not detect motion. Once the tent was set up my kids were so excited to start playing in it! The tent is very brightly colored with really cool designs on it. My favorite part about this tent is that it is super tall! Most tents cannot fit my 6 year old standing up and this one sure can. Also, the lights are super cool…they light up different colors and change via sound or music. 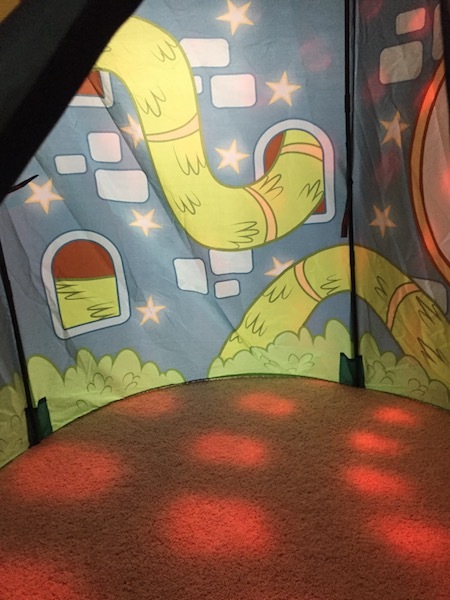 The kids love dancing in it and playing music so the tent lights up. You can also keep the tent doors closed, or tie them back so they stay open. . A carry case is included for easy storage or when your kids want to bring this to a friend or relative’s house. If you are looking for a really fun and unique gift to give, Twinkle Play Tents would make an ideal one. 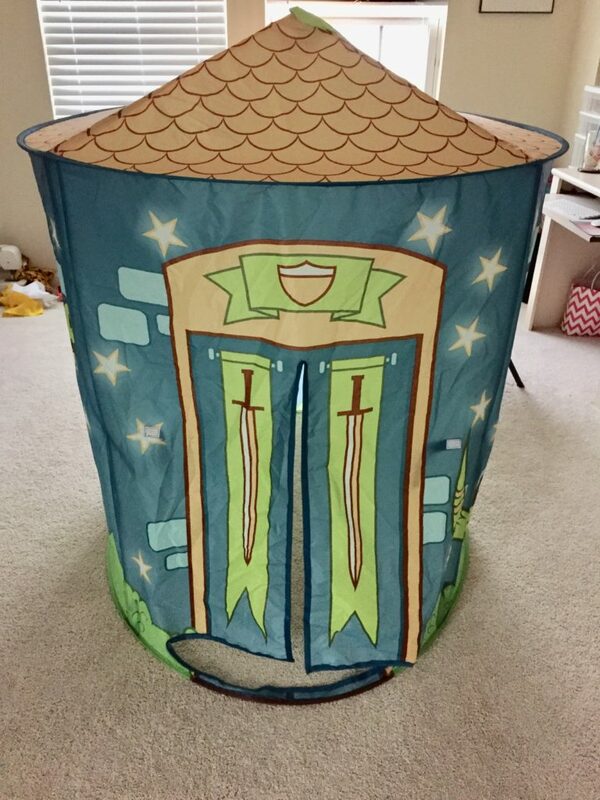 This tent is sure to bring fun and magical playtime to any girl or boy! Twinkle Play Tents are available at Walmart stores, Walmart.com and Twinkleplaytents.com . Price is $39.99. * I received a complimentary Twinkle Play Tent in exchange for this review. All opinions are my own.